Angelos Steak And Pancake House | Angelos Steak and Pancake House. A family owned and operated restaurant serving Newport News. 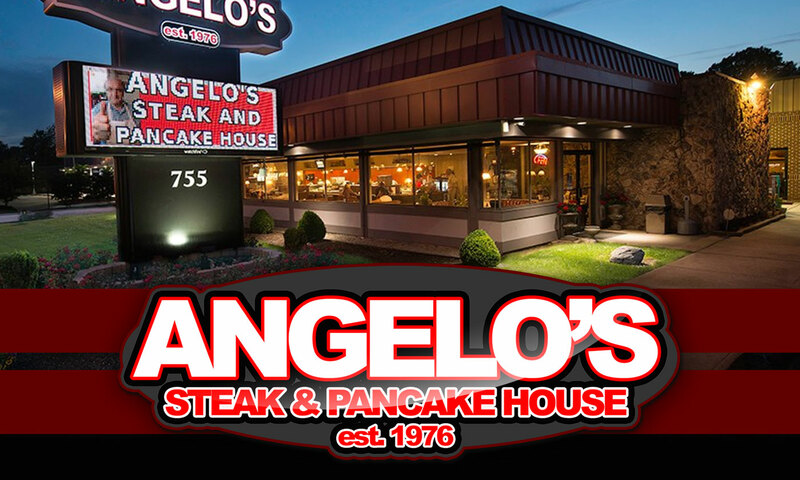 Angelo’s Steak and Pancake House is a local landmark here in Newport News, Virginia. We have been privileged to serve the peninsula at this location for over thirty years. We are a family style restaurant that offers banquet facilities for large groups. Upon arriving in America in 1974 from Karpenisi Greece, Angelo Theodorogiannis entered the family business. Then in partnership, he opened his first restaurant, Sammy and Nick’s of Smithfield in 1976. Next he opened another Sammy and Nick’s Steak House in Yorktown. In 1984, Angelo opened Angelo’s Steak and Pancake House in Newport News with his brother Nick Theodor. Early in their career, Angelo and Nick learned people expect good food at a fair price. This creed, with long hours and hard work, is the secret to success. In 2005, Angelo’s son Constantine “Costa” joined the family business after graduating from George Mason University in Fairfax, VA. Angelo, Costa and their entire staff are delighted to have you as their guests and hope to see you often.